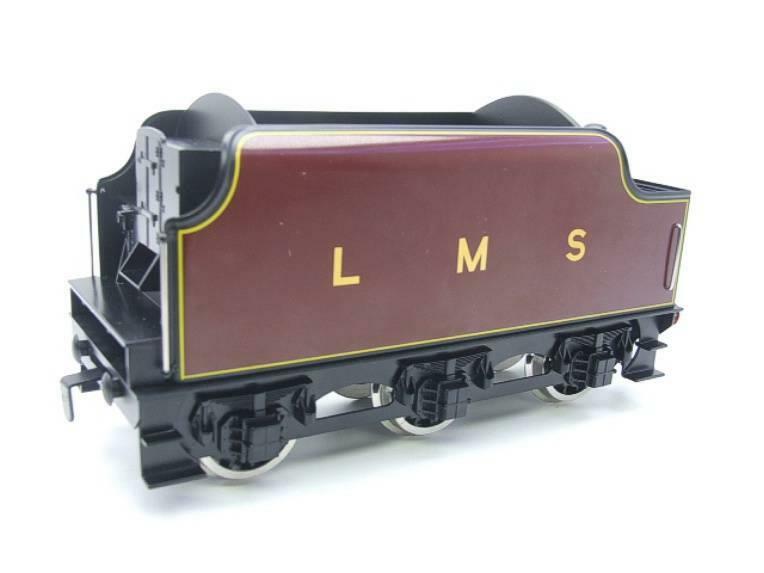 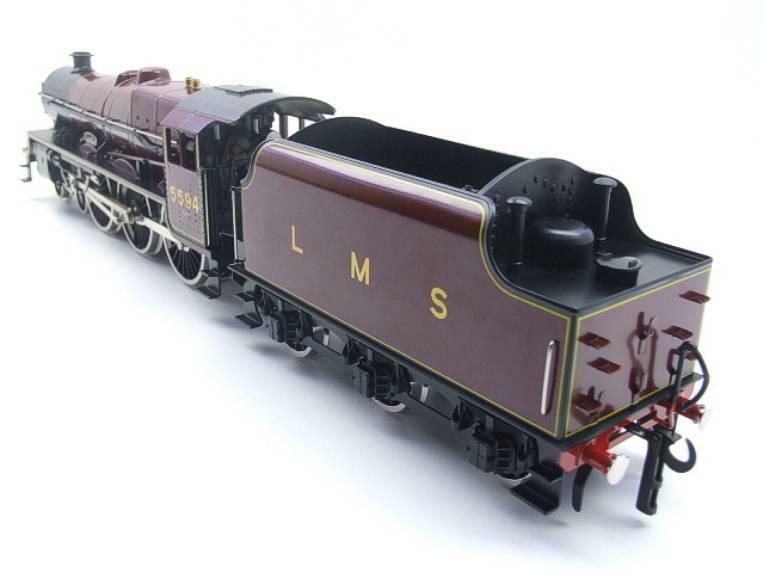 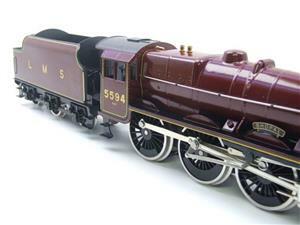 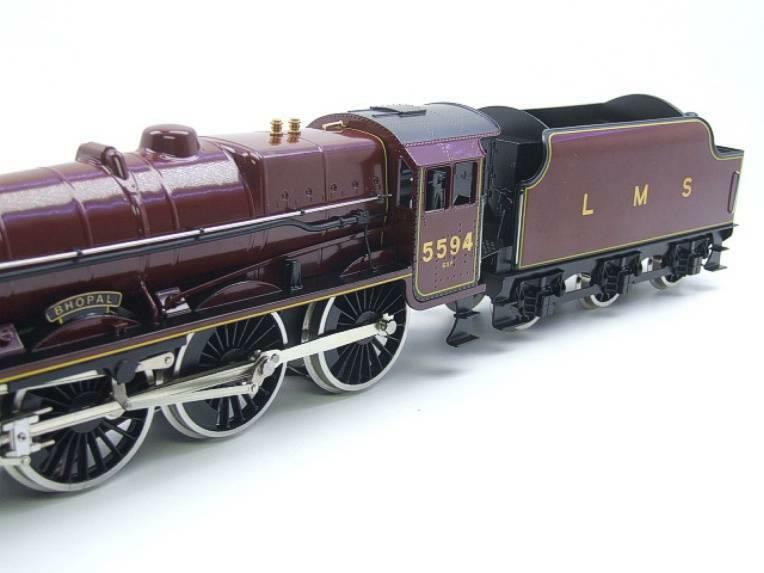 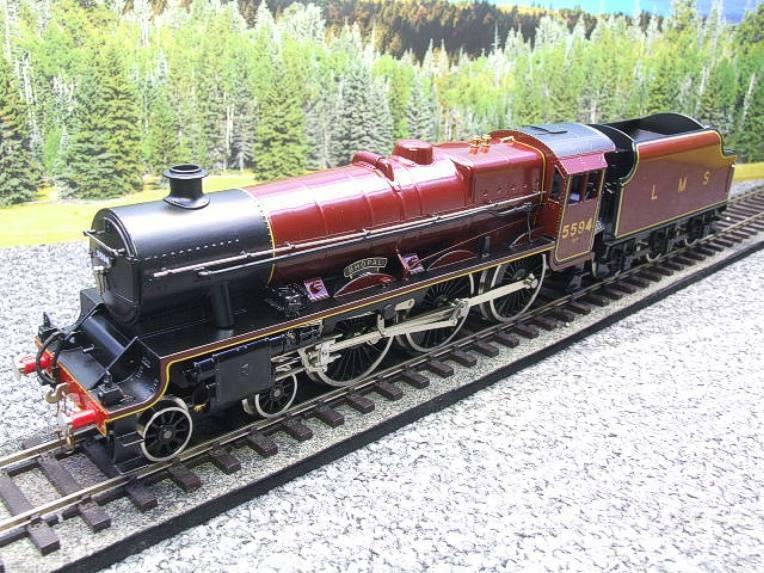 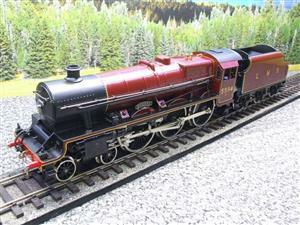 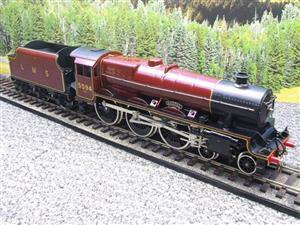 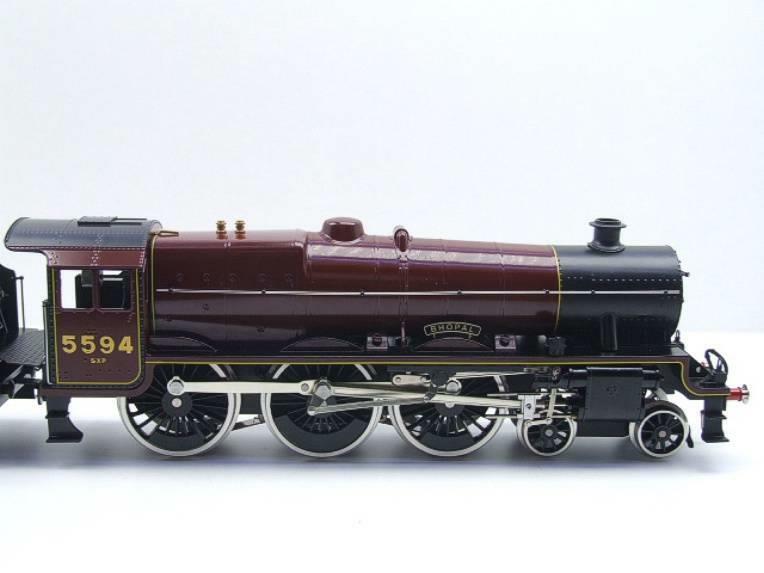 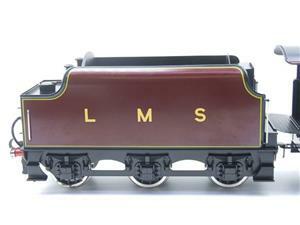 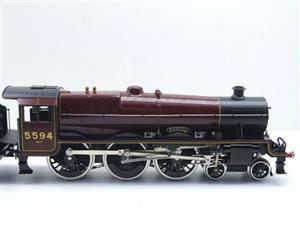 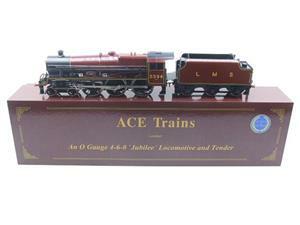 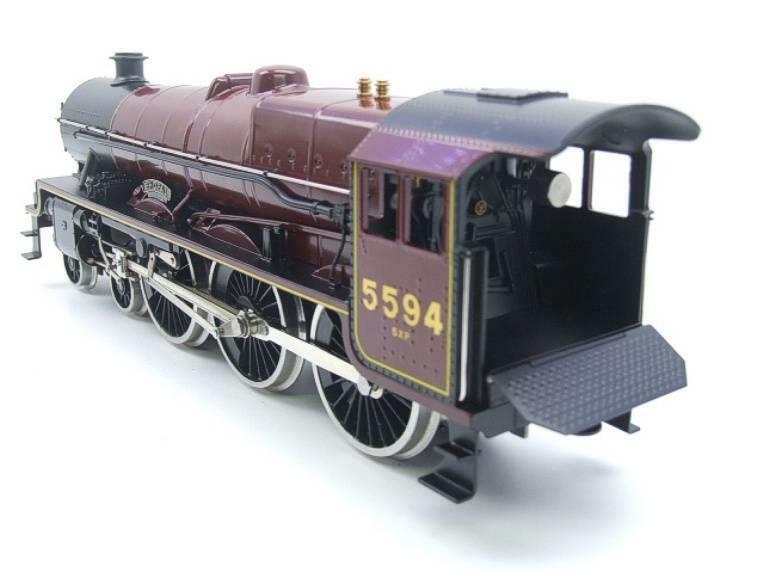 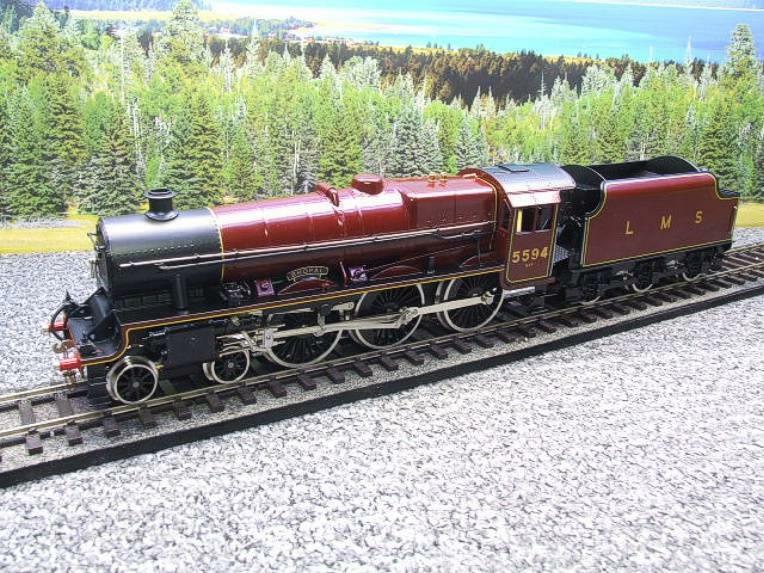 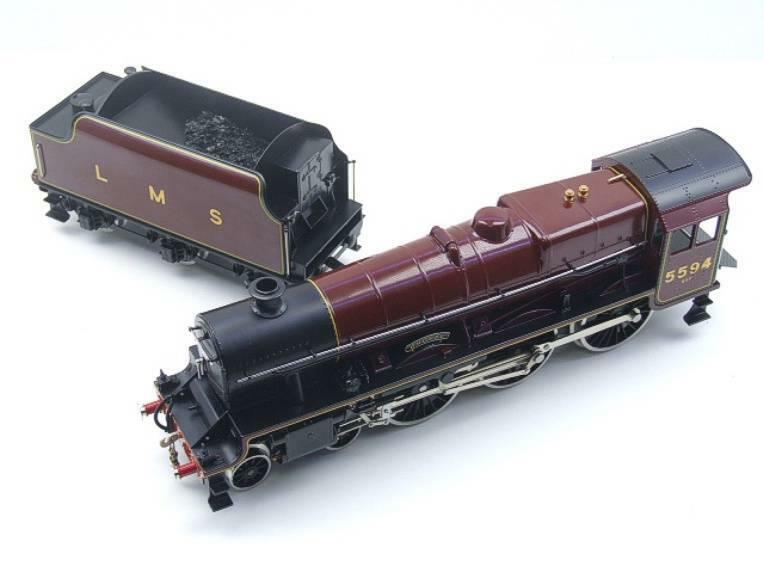 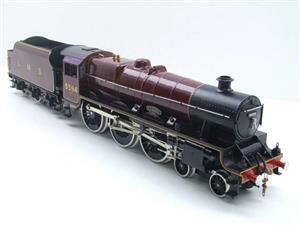 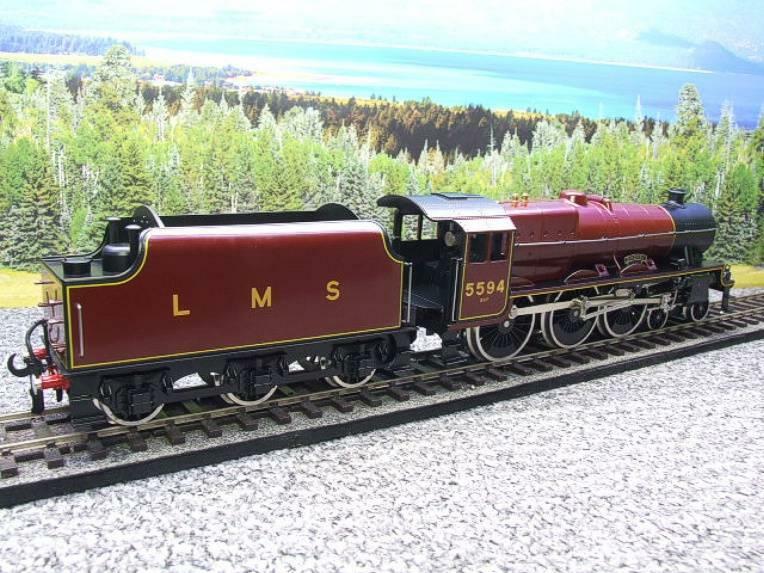 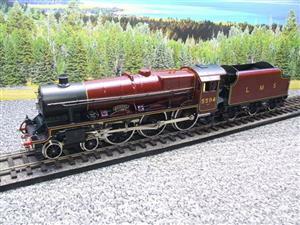 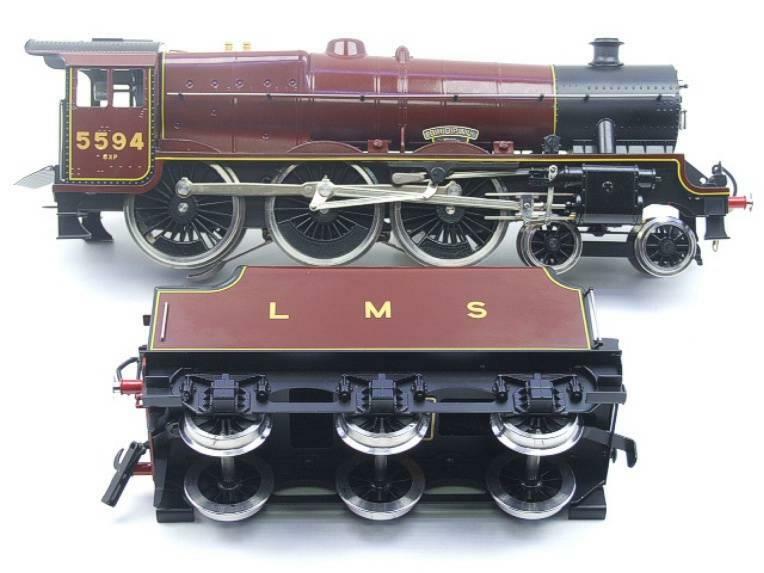 Ace Trains, O Gauge, E18, C8, LMS, Maroon,4-6-0 Loco & Tender Named "Bhopal" R/N 5594. 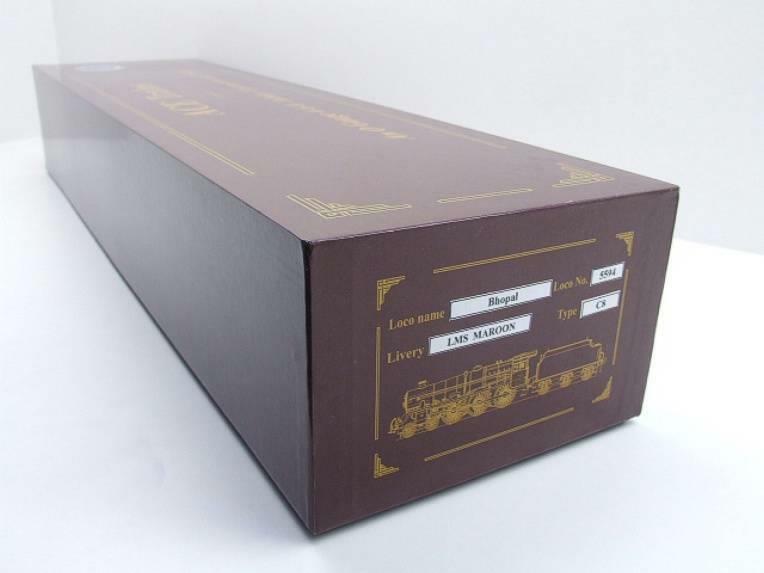 Rare Special Custom Named Edition. Electric DC. 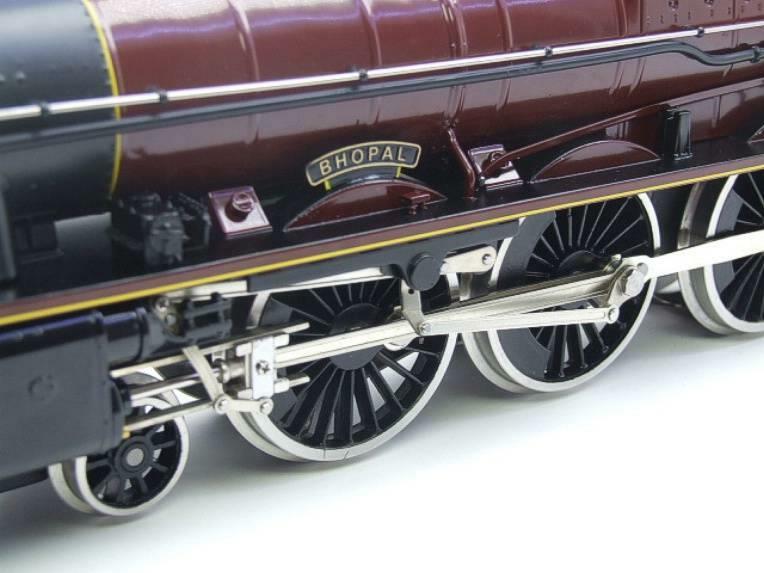 Suitable For 2 or 3 rail running. 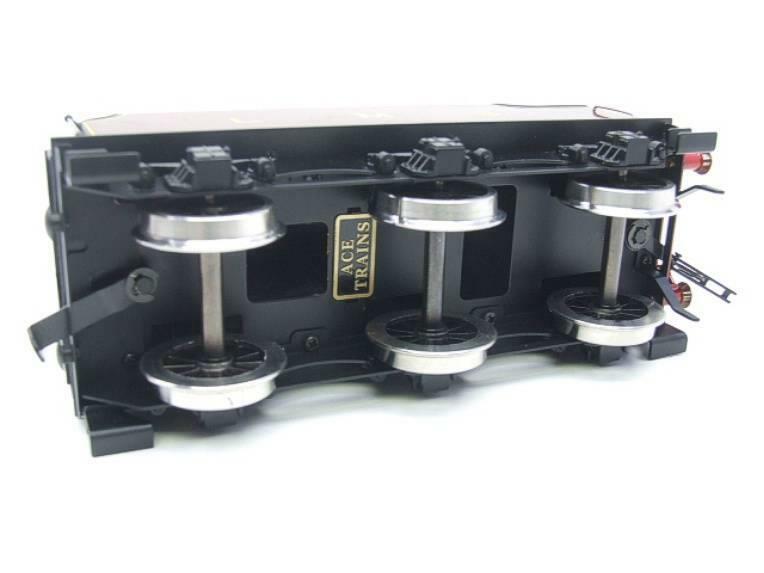 Metal construction. 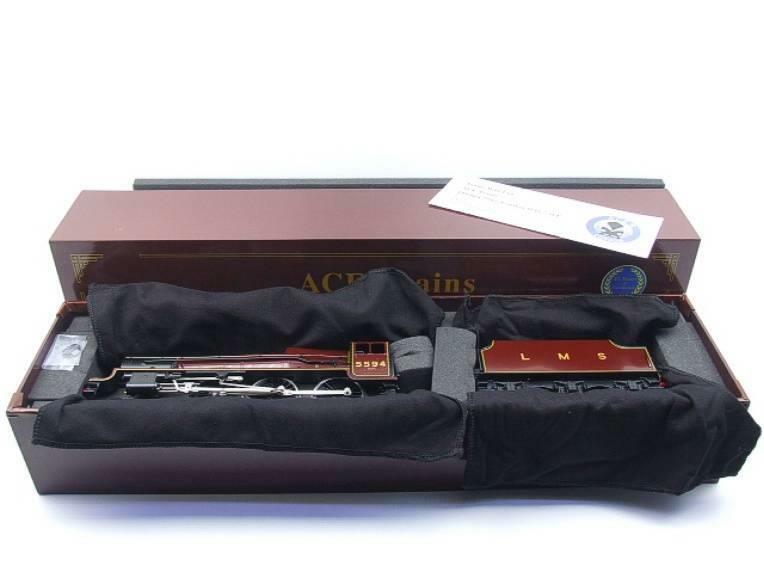 Excellent collectors Brand New release edition. 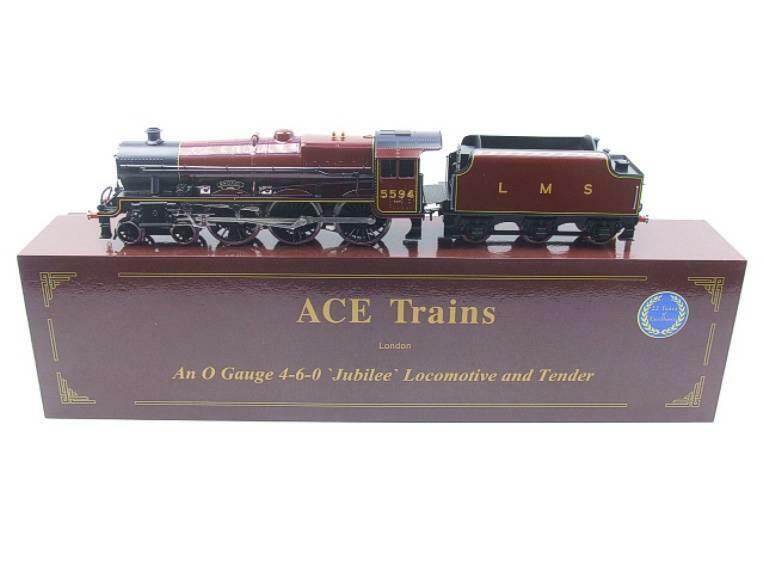 Specifications: Precision engineered, Individually tested, Flywheel Drive, Custom made Gearbox, All wheels flanged, Sprung buffers, Detailed cab back-head with fire box glow. 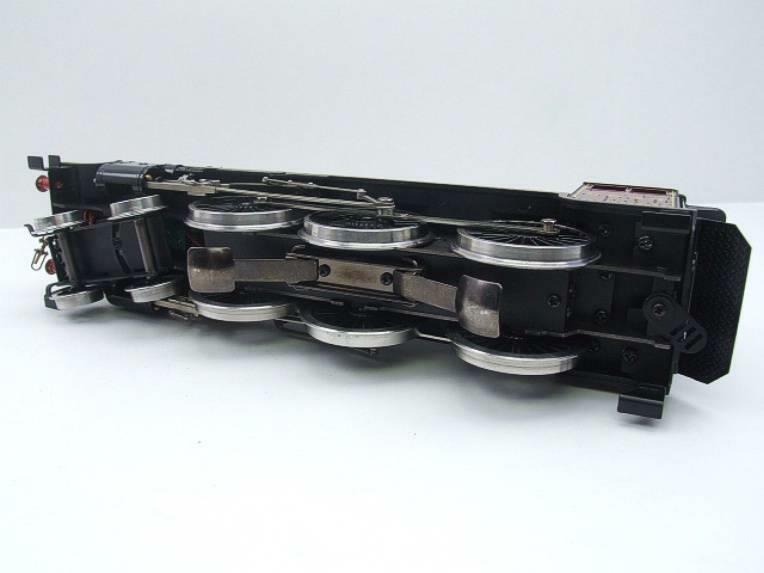 It will run down to 27" Radi. 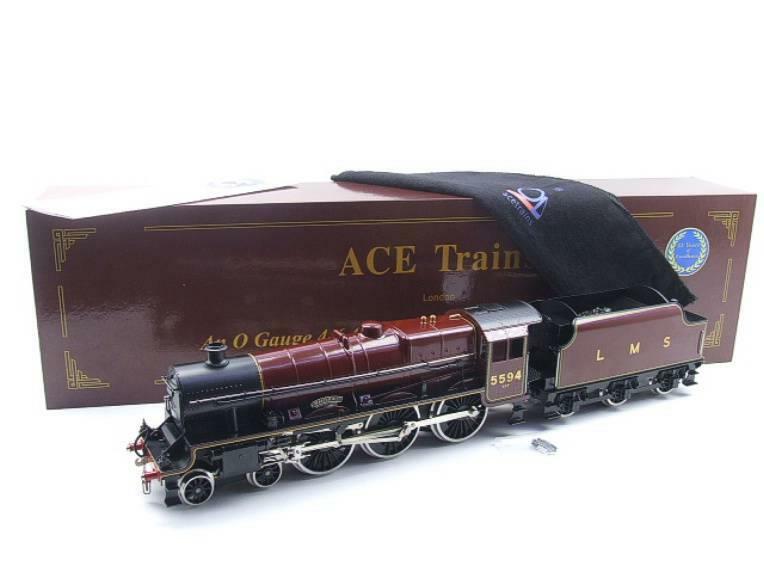 It comes complete with its Ace mats, "The Merseyside Express" & "The Palentine" name train headboards & instructions.